Well I hope your exams all went well! As a post exam treat I'll pause our study of rook endgames for a while and take a look at this interesting game. You will witness an impressive and meticulous preparation by Boris Spassky in order to execute his plan in the middlegame. 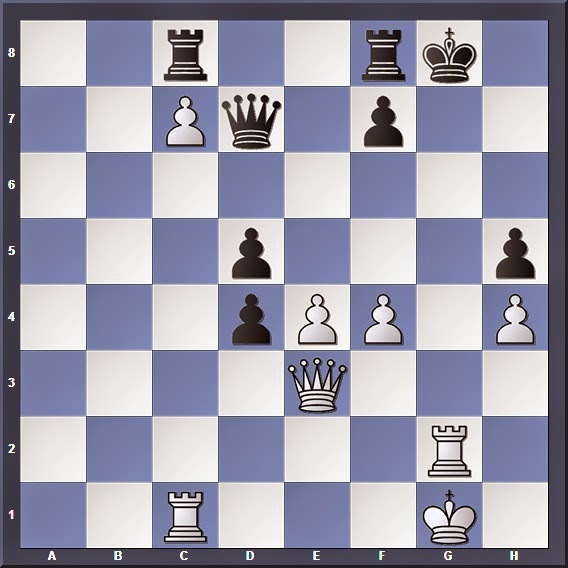 The Fort Knox variation solves the problem of Black's light-squared bishop in the French. But the downside is obvious: A loss in tempo. 6... Nd7 is more common. Step 1: Redeploying the light-squared bishop to another square so that it does not block the d-file. Step 2: Placing the rooks in an optimal position for mobility after d4-d5; in this case doubling them on the e-file. Step 3: Redeploying the Queen to exploit the a1-h8 diagonal, which will be opened after d4-d5. Notice Black is passing time here since his position looks solid enough. The dubious variation 22... Qa5 23. Bc3 Qf5? 24. Re5 Nxe5 25. Rxe5 Qd3 26. Ne1 Bh6 27. Nxd3 Bxc1 28. Nxc1 only leaves Black with an exchange down. After something like 24... N8h7 White also has the option of playing 25. Ne5, in preparation for c5 followed by Nc4-Nd6. You will see why this is a mistake later. On the other hand, after 26... Nd7 27. 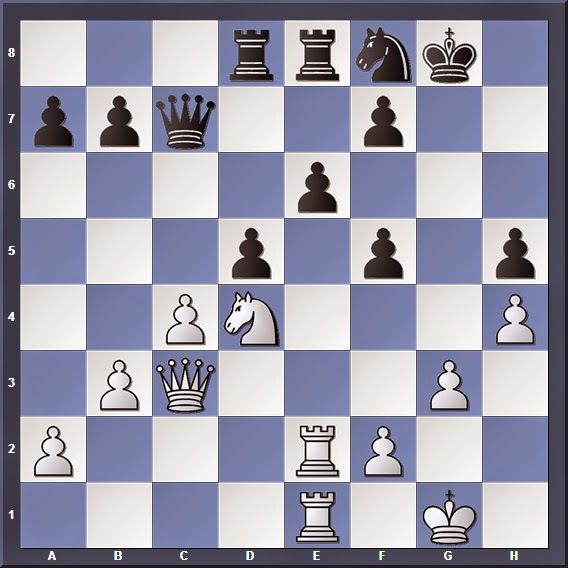 Ng5 Ng4 White will need further preparation (e.g. 28. Bg2) before he can push d5. 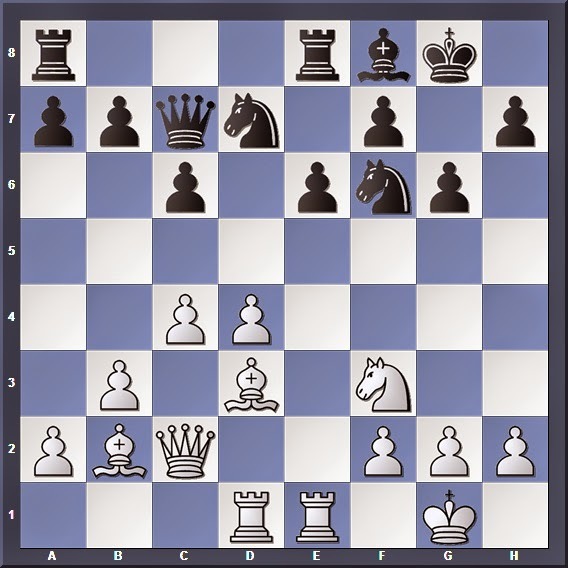 The recapture on f5 (hence why Nf5 was a mistake) allowed White to unearth a tactical threat. After 30... dxc4 31. 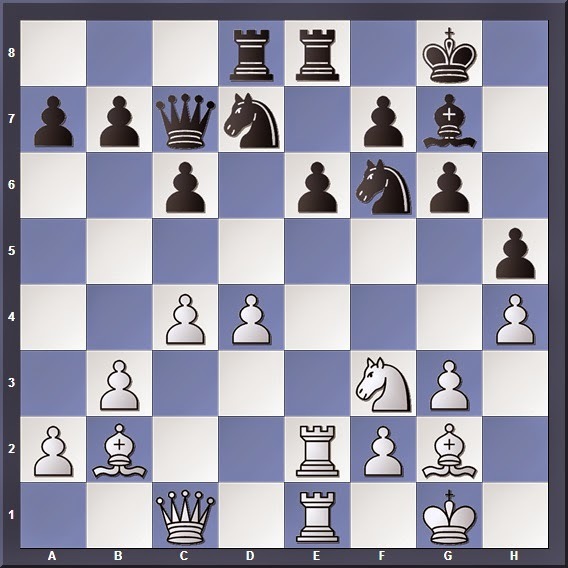 Nxf5 White threatens to win a rook or mate on g7. White's d5 plan cost him a pawn, but gave a passed pawn in return. The kingside attack decides matters. 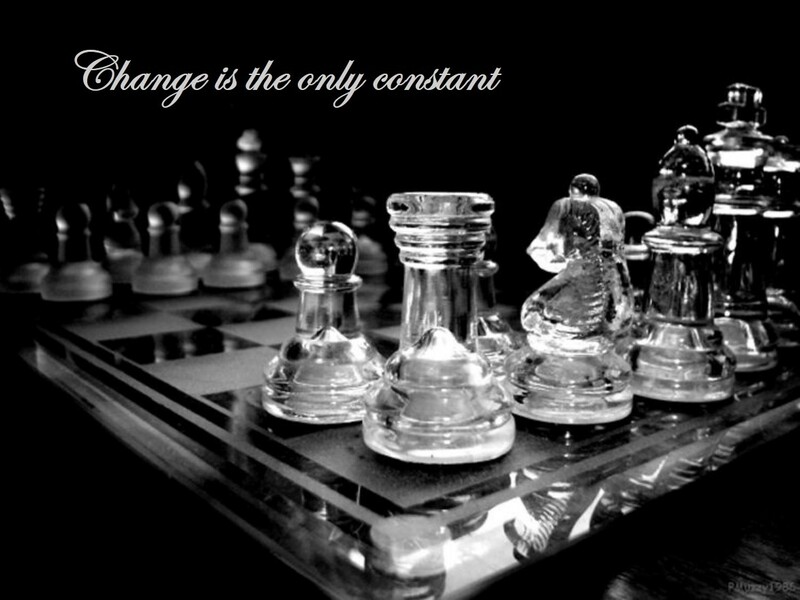 So we've seen that sometimes, patience and extensive preparation is needed when it comes to realizing a plan in the middlegame, even one as simple as pushing a pawn. In this case, Spassky's efforts paid off after his d5 push gave him a passed pawn, tying down O'Kelly's pieces so badly that a frontal attack quickly ended the game.